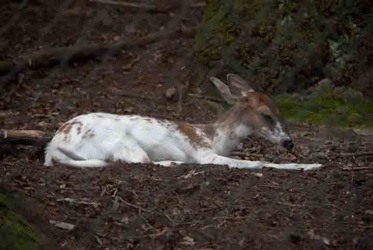 Tuesday’s adventure began at Bays Mountain Park. 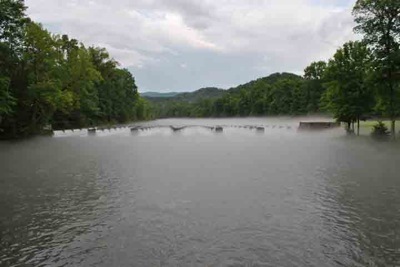 This is a 3500 acre nature preserve located near Kingsport in Northeastern Tennessee. The park is a natural habitat for birds and animals common to the area. 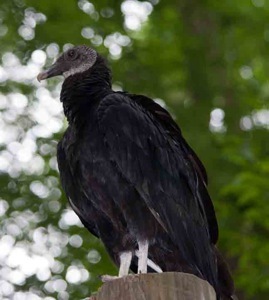 While there we saw this Black Vulture and white deer. We also saw wolves, bobcats and various owls but was unable to get any descent photos. Note to self – this would be a cool place to work. Adjacent to the park is the Eastman Recreation area. Last year, I had conversation the director of Bays Mountain Park about workamping here. At that time, he said we would be working at Eastman. We could not make the timing work out so we had to let that gig go. I plan to contact him again for future opportunities. It was enjoyable to be a passenger today. Our friend Becky was the driver and tour guide. Becky and I worked at Driscoll Children’s Hospital for a number of years. 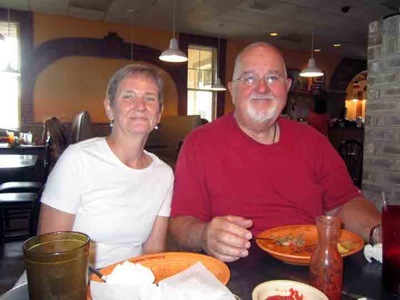 Here we are enjoying lunch at a good Mexican food restaurant. Following lunch we drove over to Boone Lake Dam. The walking path over the dam was closed so I could not get a close up photo. Becky and Kevin live on Boone Lake. 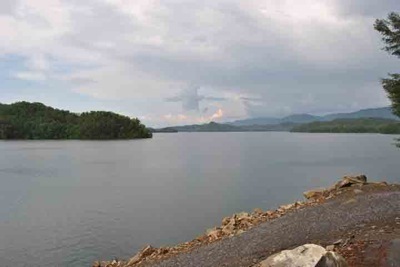 Boone Lake was named after Daniel Boone who spent time in the area during the 1760’s. 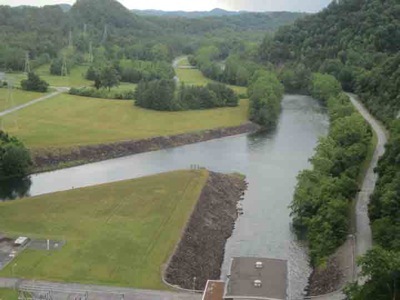 We made our way to South Holston Dam. 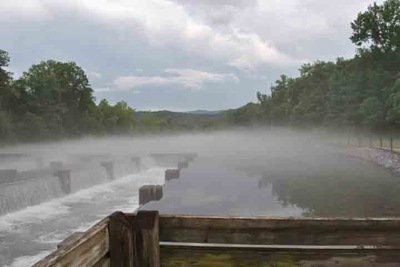 The outflow of this dam feeds Boone Lake. Ultimately the water makes its way to the Tennessee River. This photo is from the bottom of the dam. Then a view from the top. 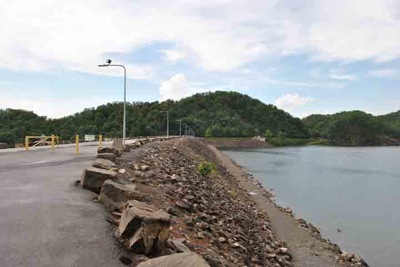 This view is from the center of the dam looking at South Holston Lake. 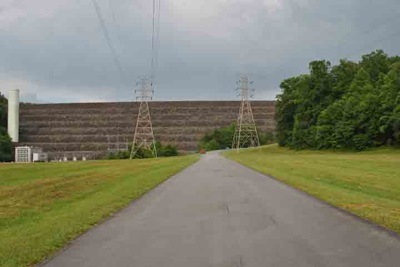 And this view is looking back down at the outflow side of the dam. The outflow side was quiet interesting. 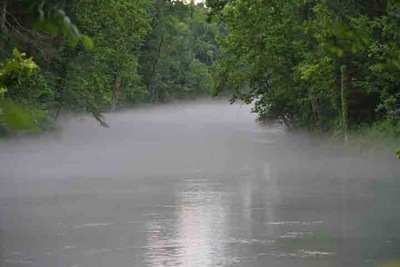 The cold water from the bottom of the lake mixing with the warm ambient area created a fog effect over the outflow. Further downstream, we found an impressive 6 channel weir that was designed to oxygenate the water. Another view – up close. This was pretty impressive. That’s for our Tuesday adventure. Wednesday we are headed into the mountains to check out a couple of water falls. Thanks for stopping by. 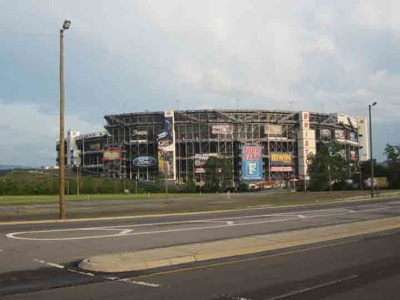 This entry was posted in Tennessee and tagged Tennessee Vacation. Bookmark the permalink.